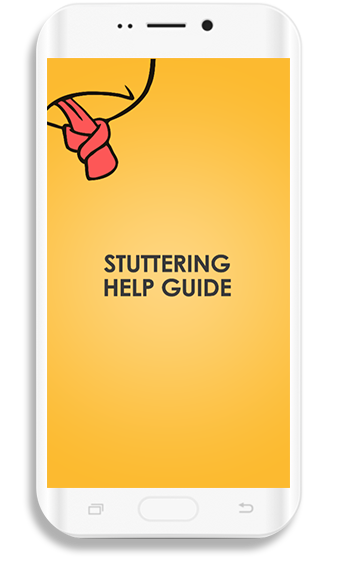 "Stuttering Help Guide" is an advanced version of the “Stutter Aid.” Its five techniques are Metronome, Mirroring, Delay Stutter Rate, Auditory Feedback (DAF), and Add Word Game for help in the procedure of overcoming stammering/stuttering. Managing stutter allows its users to manage the results which are practiced from above mentioned techniques and then share with their doctors and pathologists. This gives a two-way feedback while reducing the number of visits to doctors in person. This application does not replace the pathologist or doctors, but it serves as a tool in order to improve the experience of patient and doctor in the recovery process of stammering/stuttering. 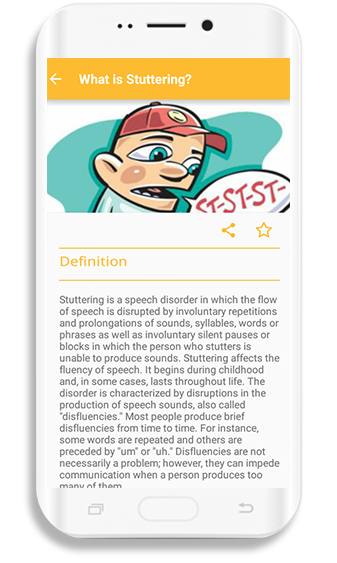 This Android app allows you to get all the necessary information about stuttering and assists you with its symptoms, signs, and causes. 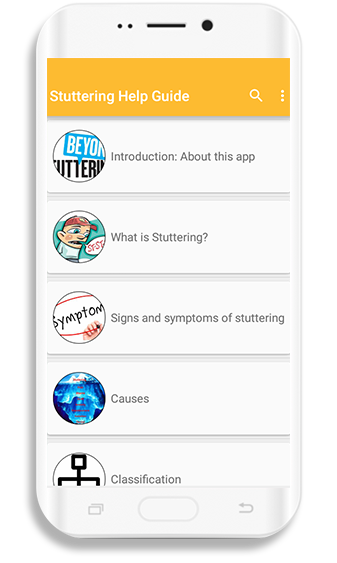 This app is easily available on Google Play Store, and it enables you to learn the treatment and home remedies for managing to stutter. This app provides many tips and instruction on how to reduce anxiety over stuttering and how to learn and manage stuttering effectively.